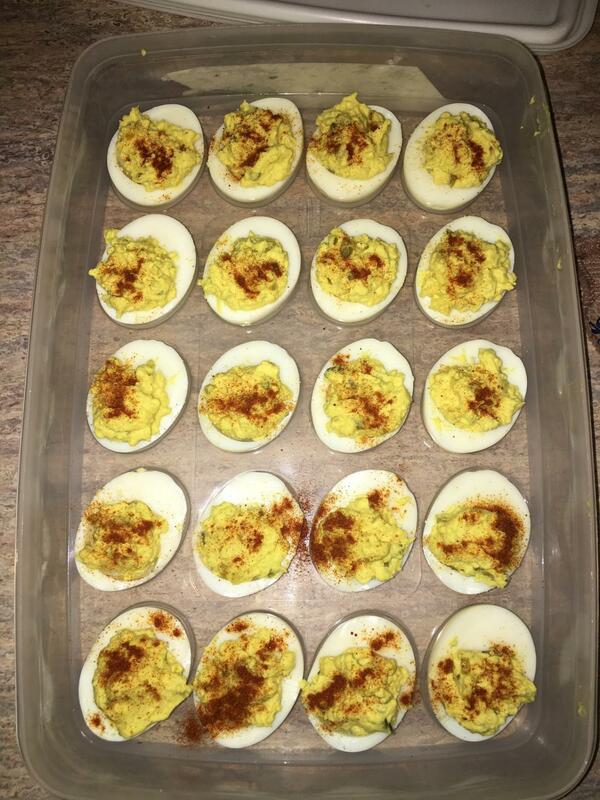 Deviled eggs make a perfect snack. There are many different ways to eat eggs: scrambled, fried, over-easy, even raw, but the best way is deviled. Deviled eggs are also known as “stuffed eggs,” “Russian eggs,” or even “dressed eggs.” These are an easy way to add a flavorful side of protein to any meal. 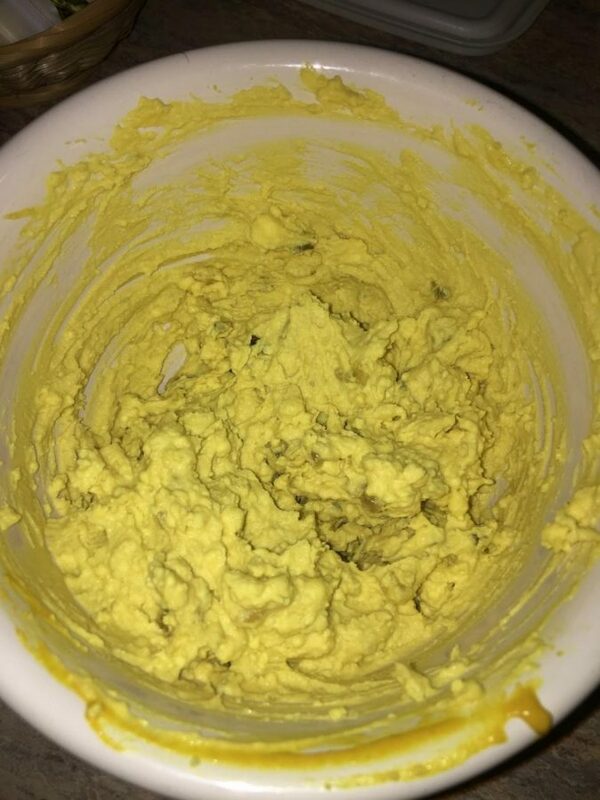 You can make deviled eggs by just boiling eggs, cutting them in half and then making a paste using the yolks of the eggs combined with some other ingredients. 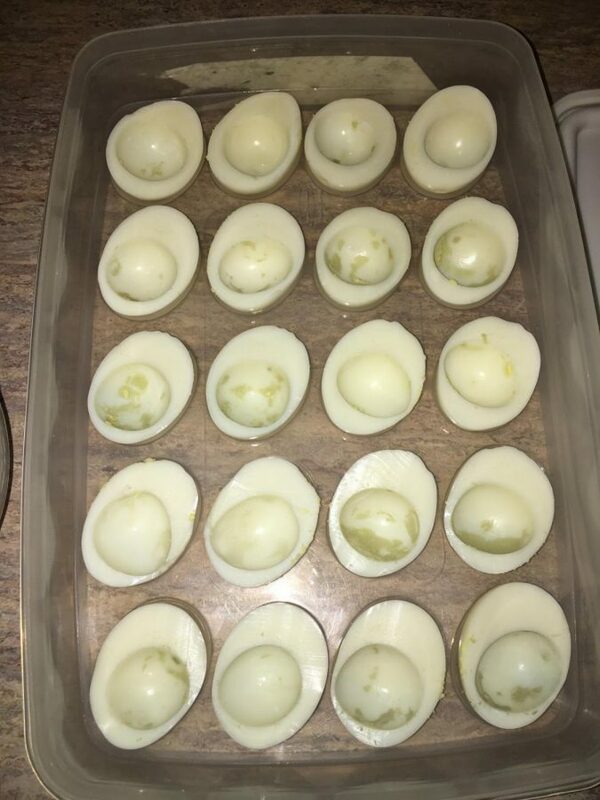 This recipe makes 24 deviled eggs. Put eggs in a pot of water and boil for 15 minutes. 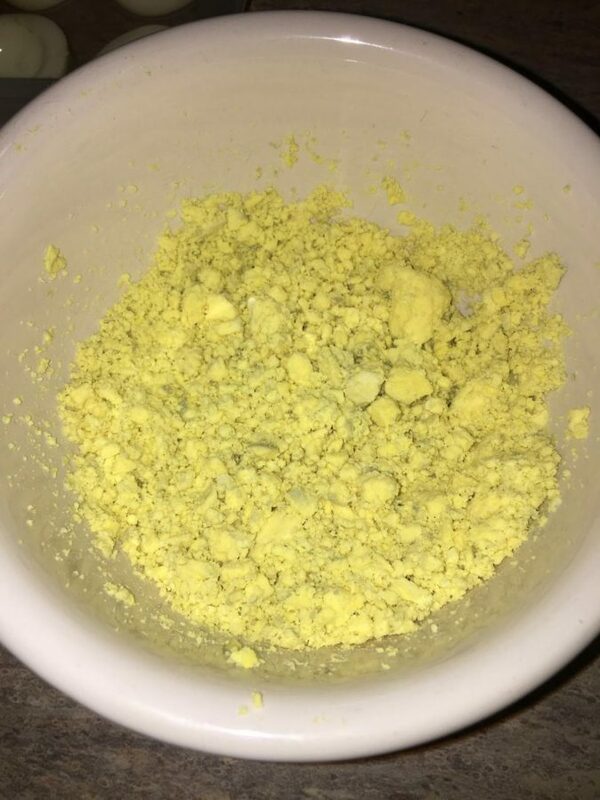 Take the eggs out of the pot and put into a bowl of ice water. Peel the shells off of the eggs. Put yolks in a separate bowl. Combine relish (or pickles), Miracle Whip, and mustard with the yolks. Put a spoonful of the paste into the center of the egg whites that were cut in half earlier. Add a dash of paprika on top of the eggs.